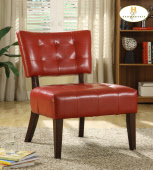 We have a great variety of styles in our Chairs Department. Be sure to give us a call if you have any questions. 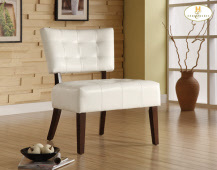 Delicate carvings and a woven rattan back grace the show wood frame in the Parlier Collection. 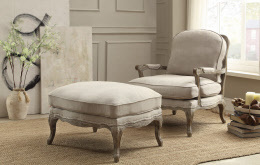 The padded upper back of the Orson Collection is supported by wooden slats that give way to the substantially sized seat of this whimsical accent chair. 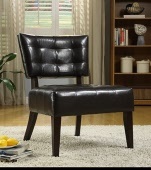 Perfect for your home office or bedroom, the Warner Accent Chair will definitely add that needed pop to your decor. Give your living space that whimsical pizazz it is yearning for with the Dolce Swirl Print Accent Chair. The Dolce Striped print accent chair can be used in your living room, family room, home office or in your master bedroom to add that much desired finishing touch of class. The Dolce Zebra print accent chair can be used in your living room, family room, home office or in your master bedroom to add that much desired finishing touch of class.